1) China is the fastest growing large country in the world and has been for over 10 years. 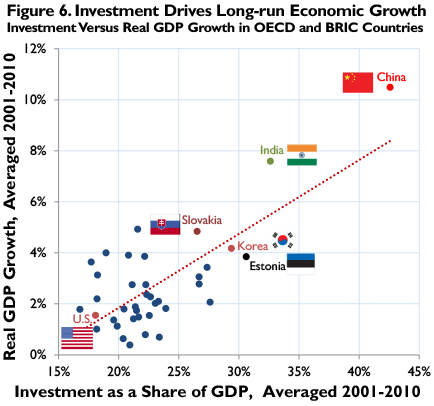 China also invests more as a share of GDP than any other large country in the world. This is not a coincidence. See the first chart below. 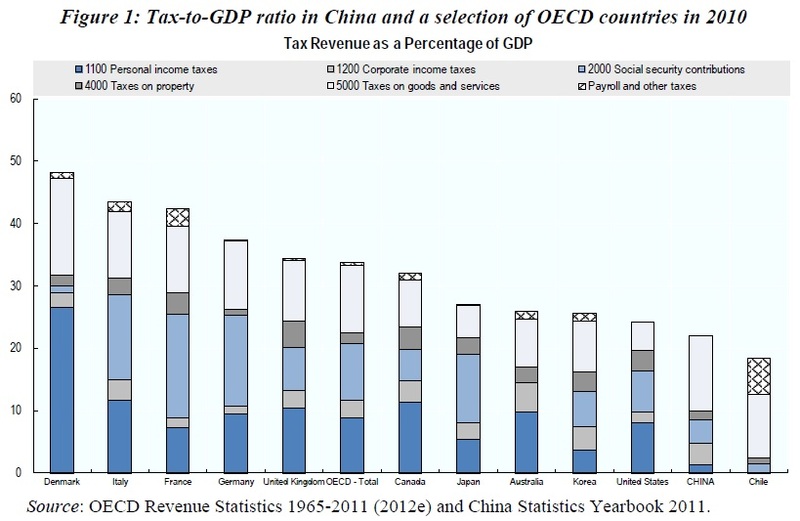 2) China is a low-tax country overall and has particularly low taxes on capital. See the second chart below, and this OECD report. 3) China gets about half its tax revenue from taxes on goods and services (consumed), and a relatively small share is from taxes on income, wages, and profits. 4) China has a corporate tax rate of 25 percent, compared to the U.S. rate of 39 percent. 5) China has no capital gains tax, a dividend tax of 5 to 10 percent, and no tax on interest earned in bank accounts. 6) China has no estate tax. 7) China has added about 50 Fortune Global 500 companies since 2000. The U.S. has lost about 50. 8) China is the second largest economy in the world and at current growth rates will soon overtake the U.S.